When you upgrade your system to Version 9, you’ll continue to get new features and functionality throughout the lifetime of the version. Our developers believe that we should stay on the same version for at least 2 years so that users continue to get updates without having to spend extra money. Upgrading is a lot less than you might think. Contact us today or your dealer for pricing. Weekly closeouts are used to restart the WTD totals, archive data, and to perform database maintenance. Since the weekly closeout tends to be forgotten, it will now run automatically at the end of every 7th day. Now your system will run lightning fast because it won’t be bogged down with tons of extra data. The system auto-populates addresses when with delivery. Integrated with GoogleMaps to auto-populate addresses near your location. 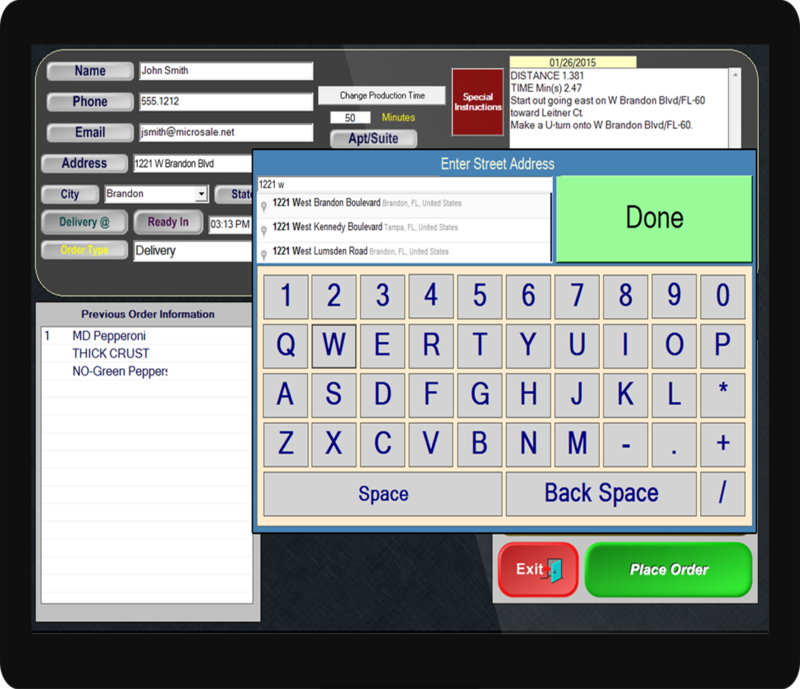 You’ll complete phone orders 60% faster and it will prevent address errors. ReportingAnywhere gives you access your restaurant’s information from anywhere. Get crucial reports to make quick and informed decisions. Credit card processing is a competitive industry. If you’ve had your processor for a while, it might be time to compare prices. Version 9 is ready for the EMV technology. Upgrading and using EMV will eliminate chargeback fees from the processor.